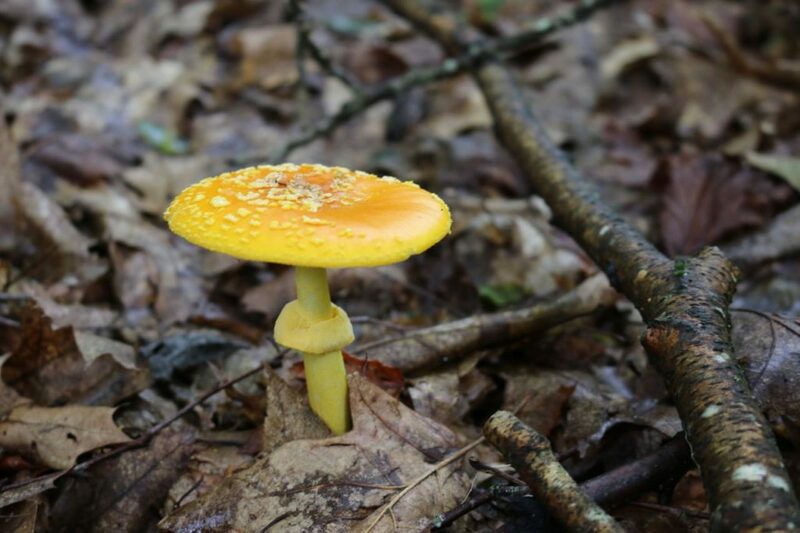 Just finished an excellent 3-week field mycology class at the Mountain Lake Biological Station (9-29 July, 2016). 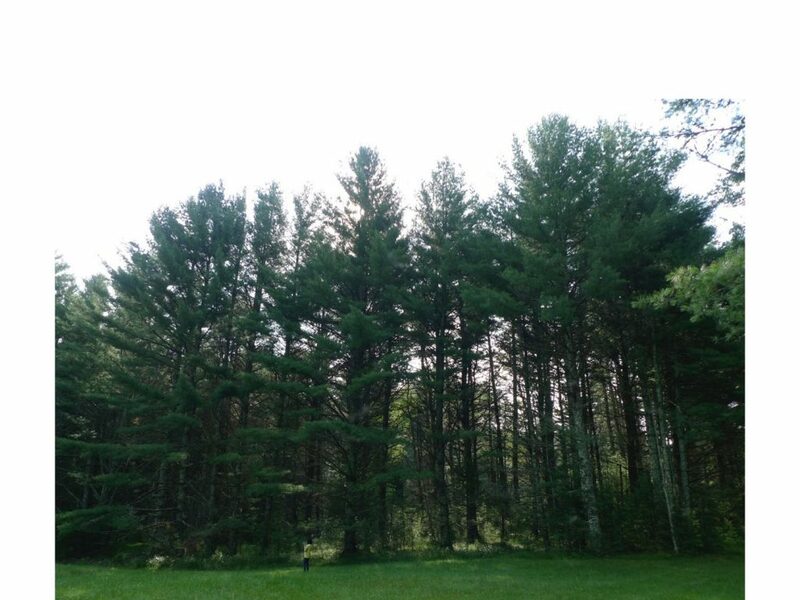 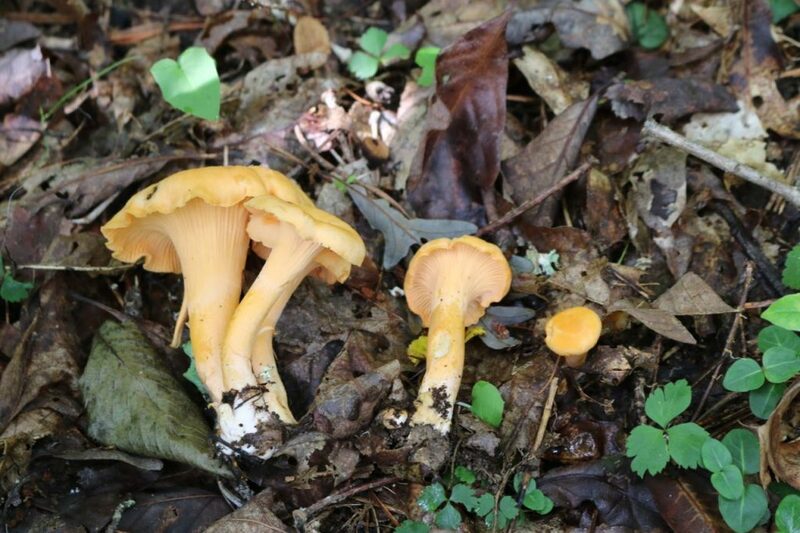 MLBS is operated by the University of Virginia Biology Department, and is located in a remote part of the southern Appalachian mountains near Pembroke, VA. 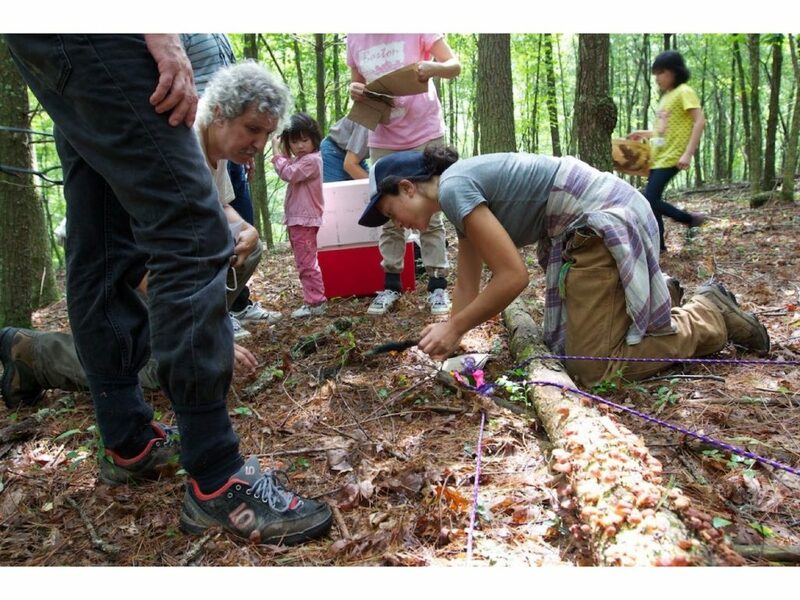 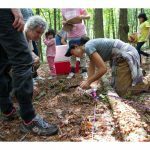 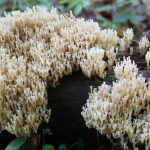 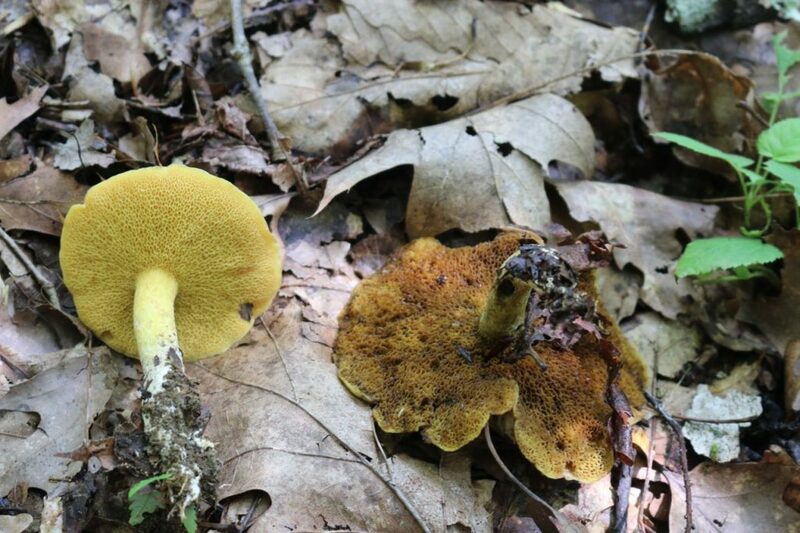 This year’s class and I spent three weeks exploring the rich forests and fungal communities that surround the Station. 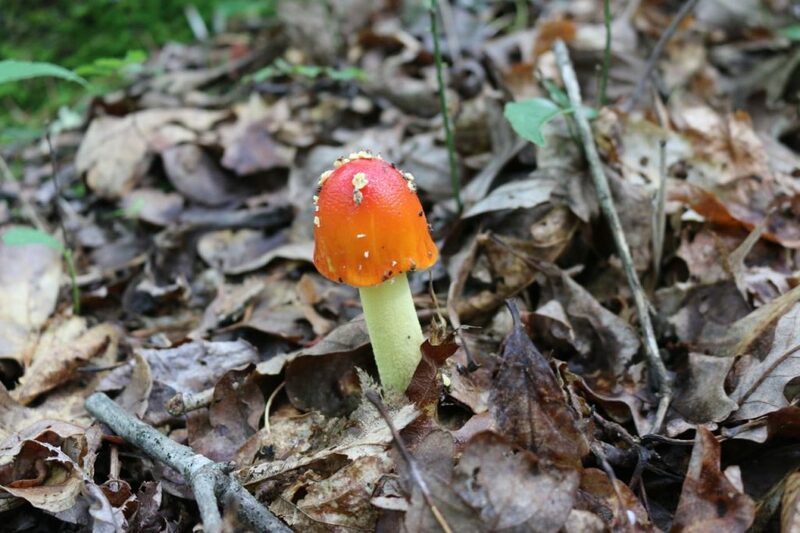 Weather was perfect with daily rain showers and cool temps to stimulate fruiting. 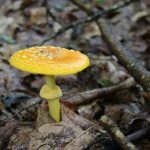 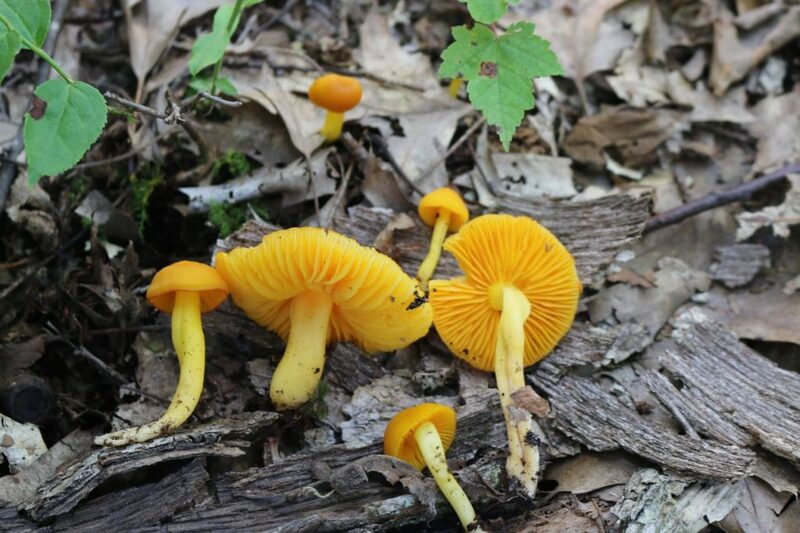 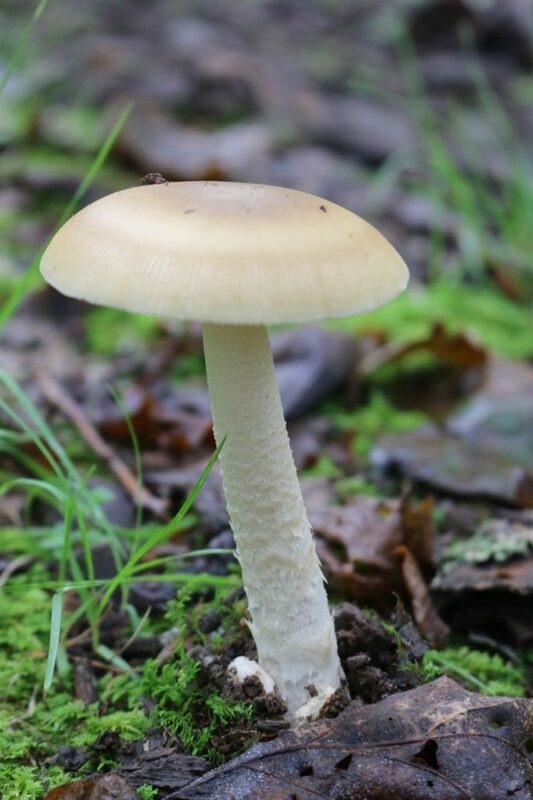 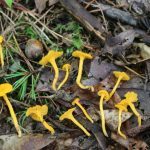 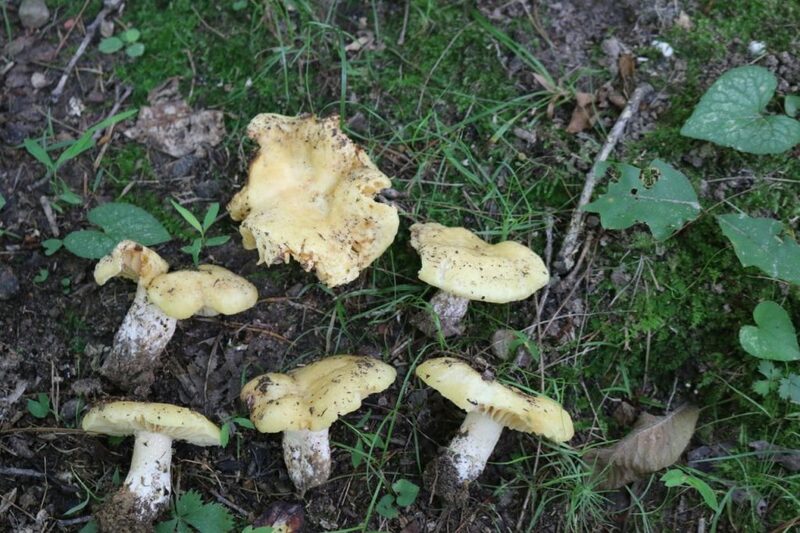 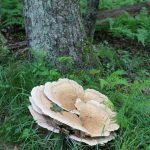 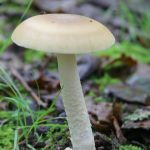 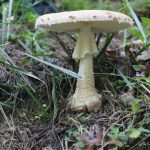 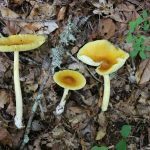 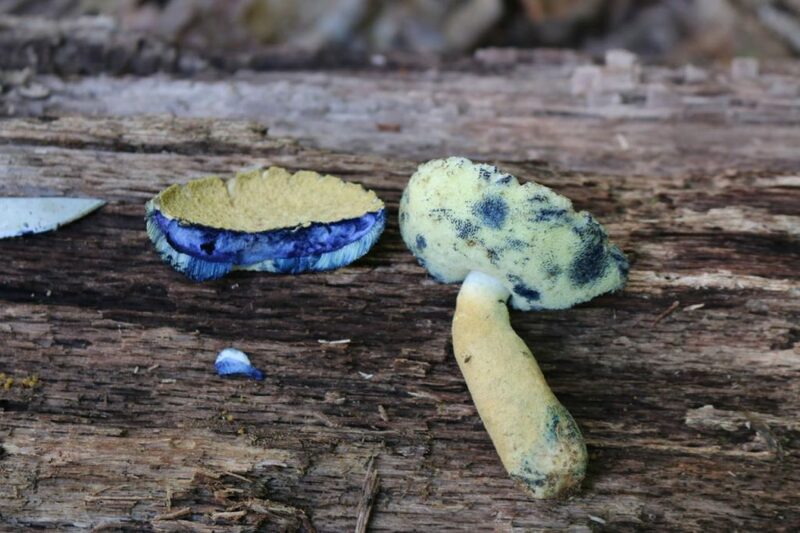 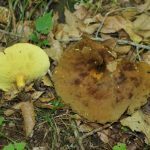 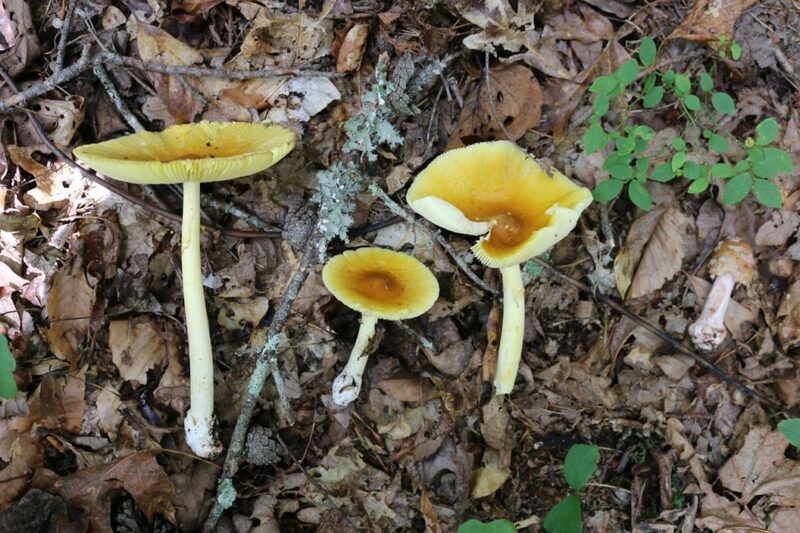 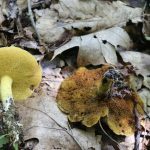 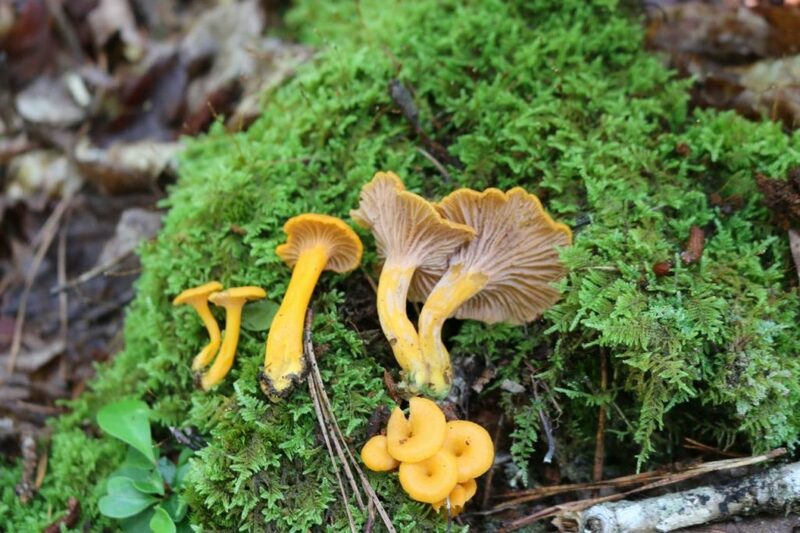 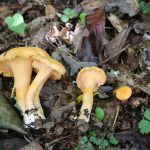 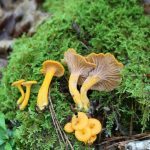 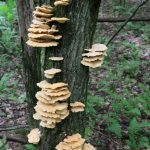 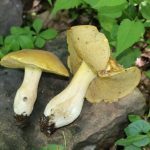 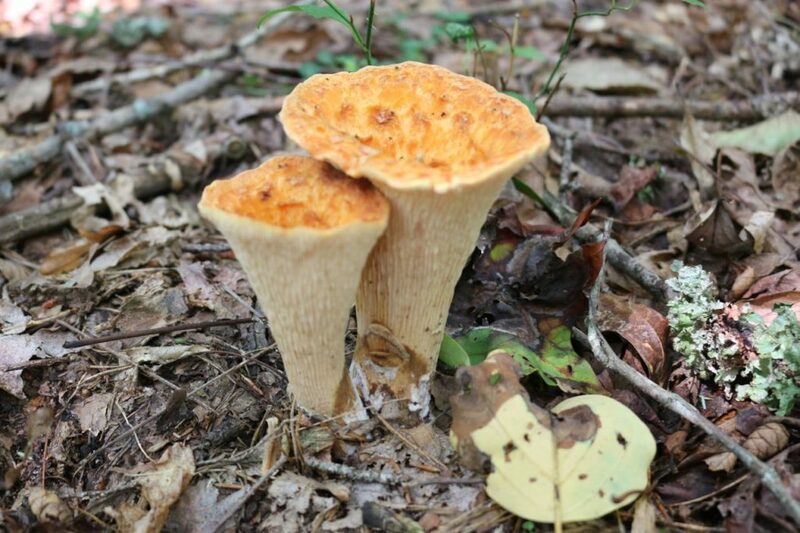 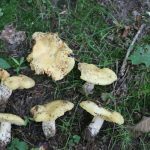 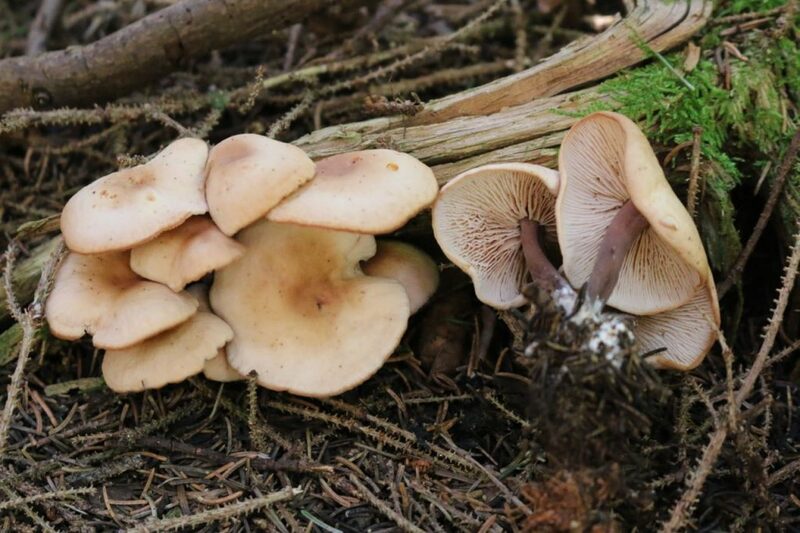 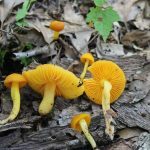 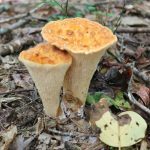 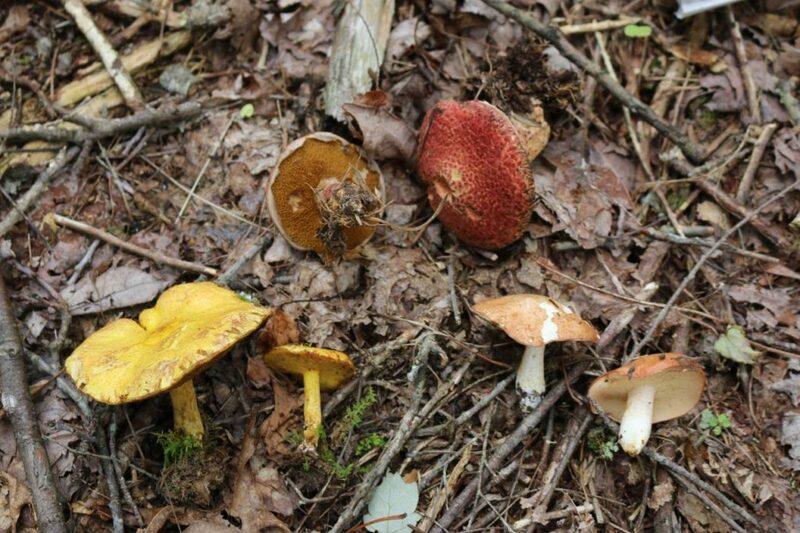 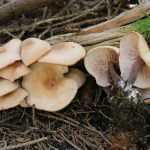 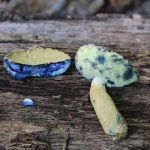 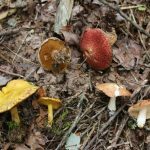 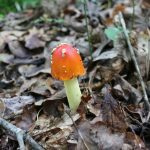 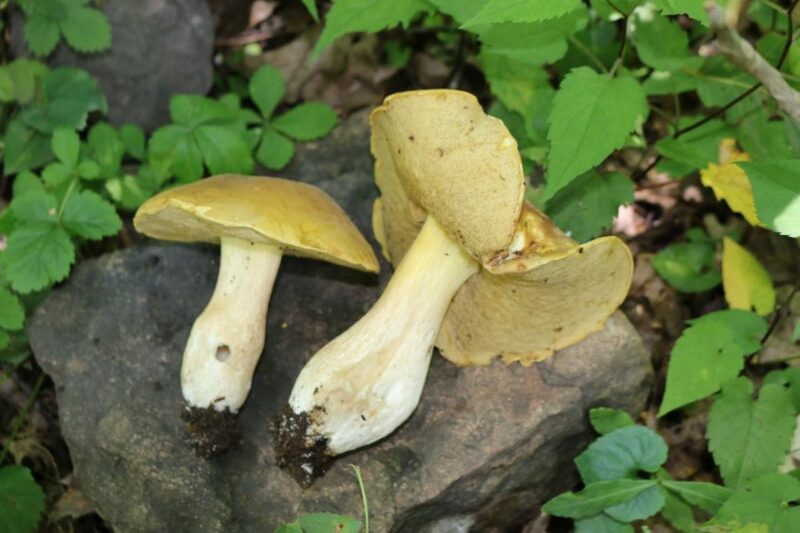 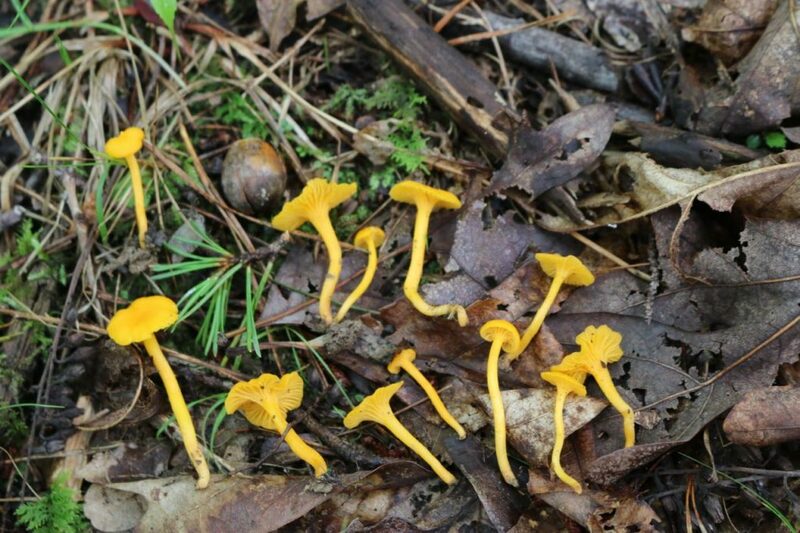 Notable highlights included abundant fruiting of several classic southern Appalachian fungi including Russula earlei, Boletinellus merulioides, Amanita jacksonii, and dozens of boletes including Boletus separans, B. nobilis, and Suillus subaureus. 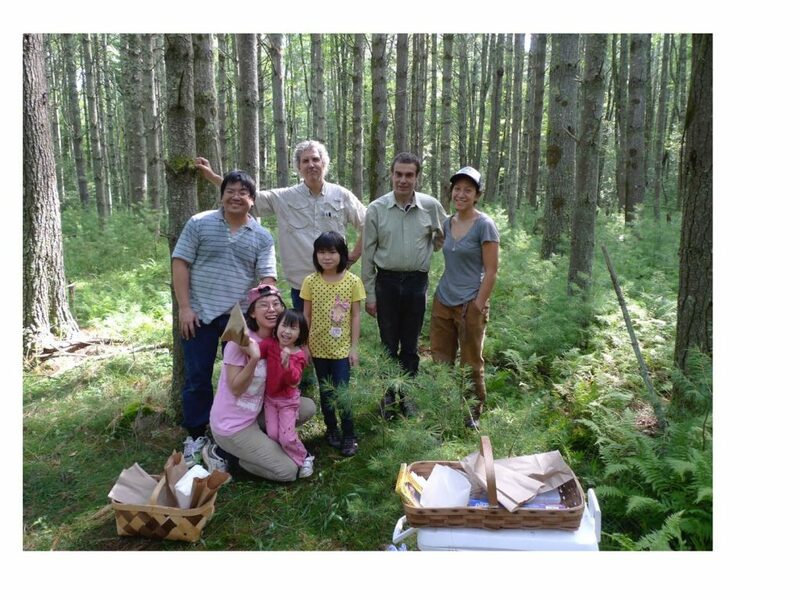 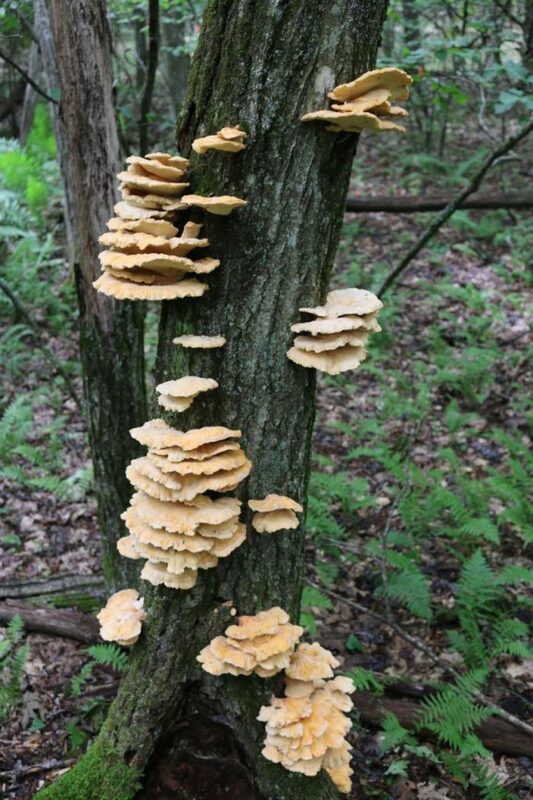 Together with the 6 students in the class, we made over 300 beautiful collections of fungi. 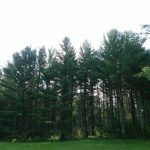 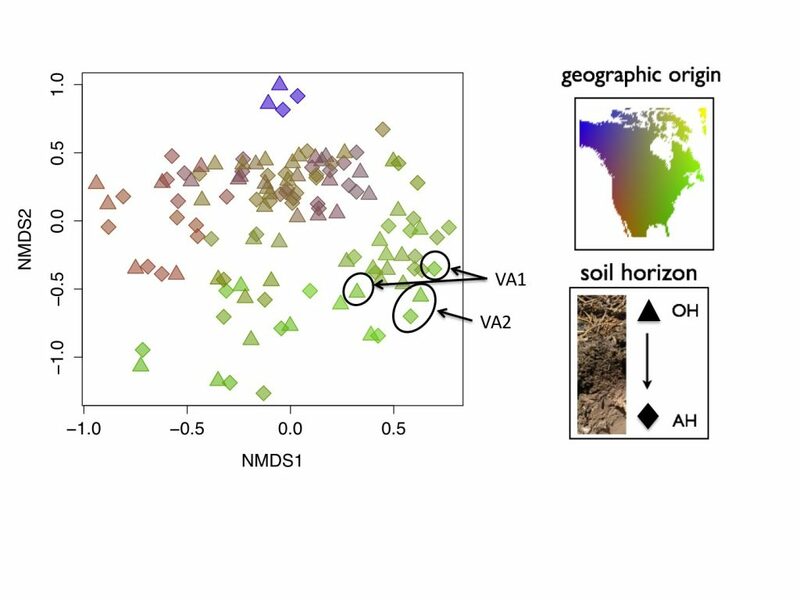 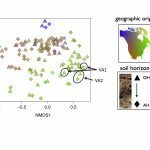 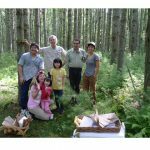 During this time I gave a seminar at the Station, with an update on our NSF DOB pine microbiome survey data for two forest plots close to MLBS. 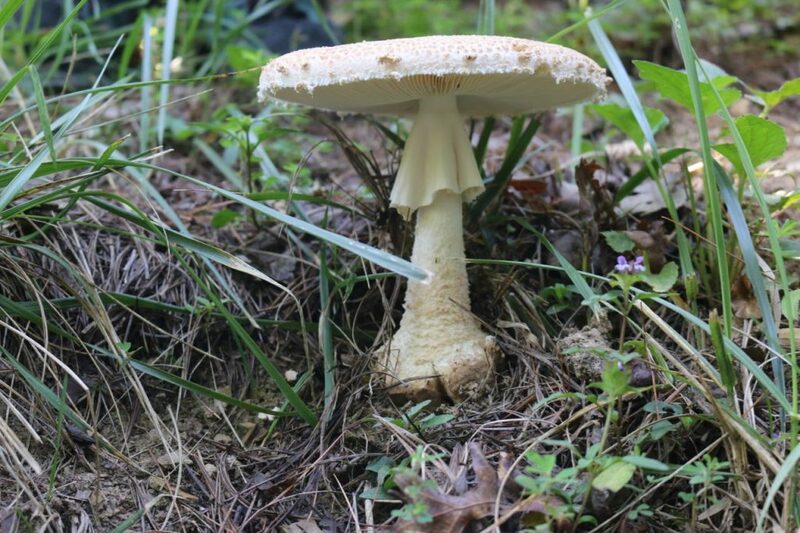 VA1: Pinus strobus, Poverty Hollow, Mongomery Co., VA. VA2: P. strobus, White Pine Lodge, Giles Co., VA. At each site, we collected fruit bodies and soil samples, and were able to identify a list of most common fungi occurring as OTUs in soil under white pines. 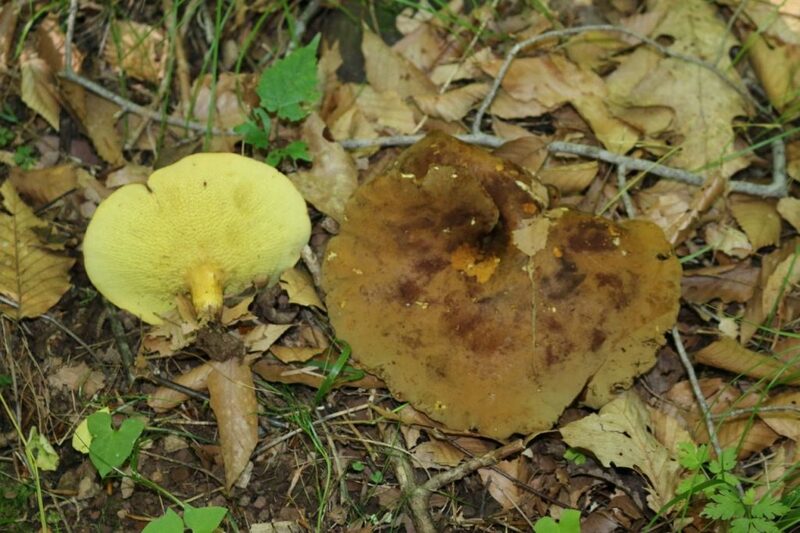 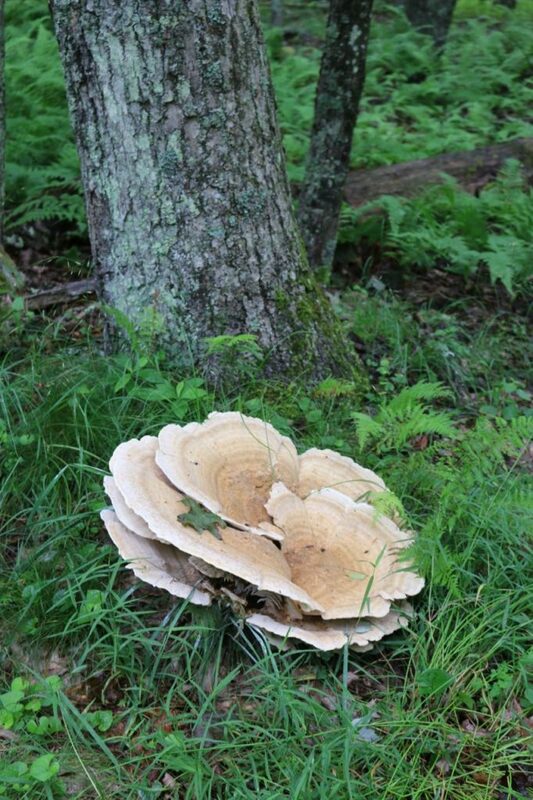 Many of these are the same charismatic macrofungi that we observed fruiting all over the station. 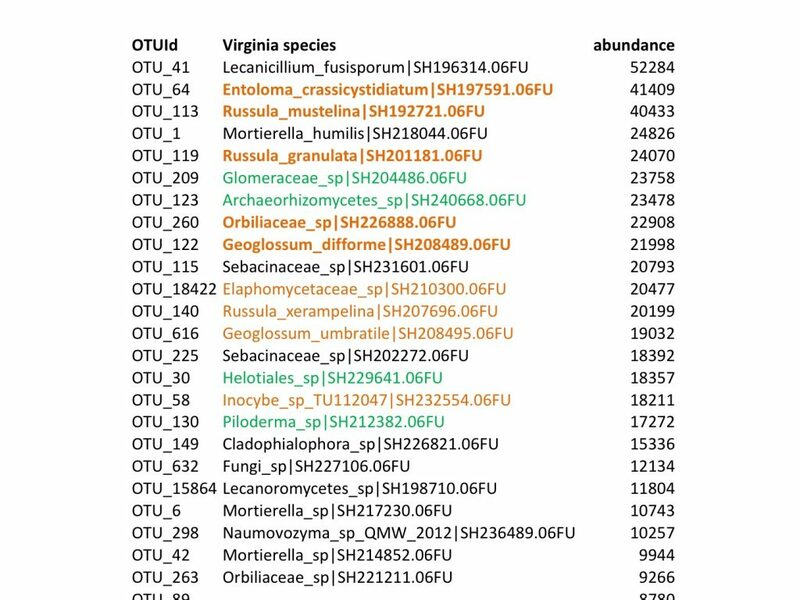 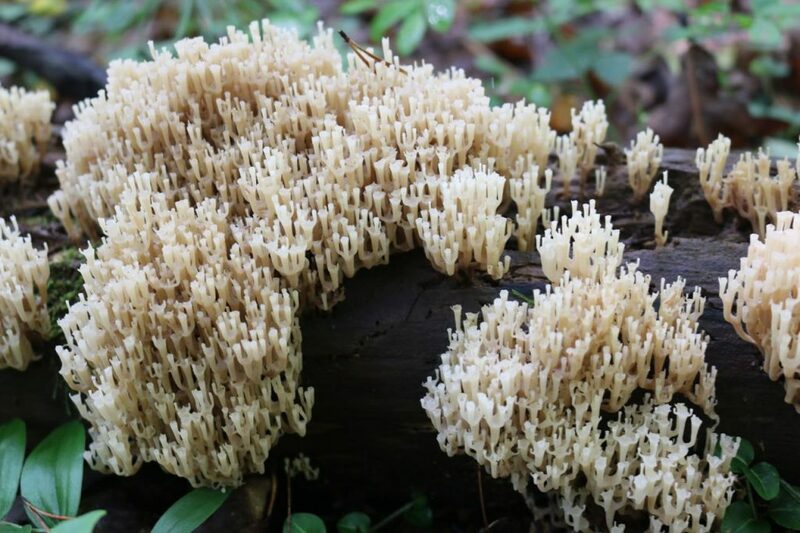 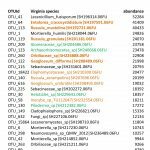 The most abundantly detected OTU is a species of Lecanicillium, which is the asexual form of the genus Cordyceps.